Hello everyone and welcome back to my website! 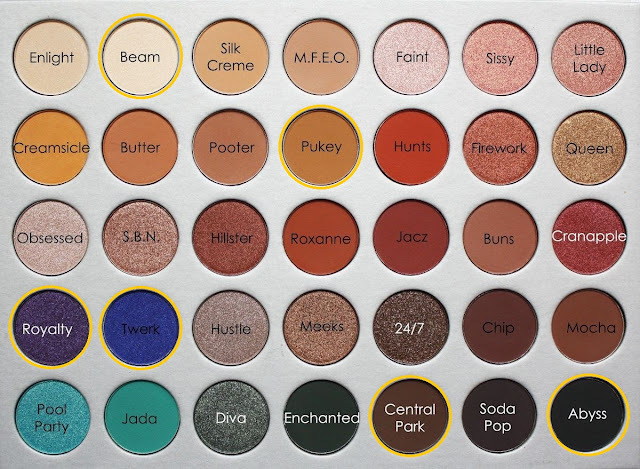 Today is another tutorial using the original Jaclyn Hill palette! I've been wanting to dive into Royalty and Twerk, so that's exactly what I did. I think this tutorial is pretty easy to follow a long with. I used minimal colors and tried making sure it wasn't hard. 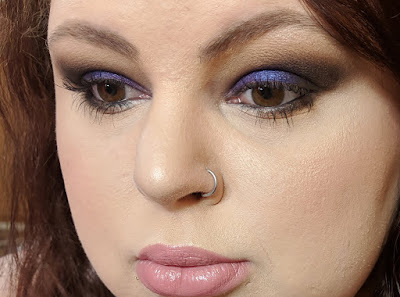 Now I am pretty annoyed that I could not get good photo's of this eye look, Either it was too dark and wasn't showing the color's in the eyeshadow, or everything was super washed out and making the black eyeshadow look kind of gray. So we went with the photo's that were too bright, because at least you can see the colors I put on my lid! 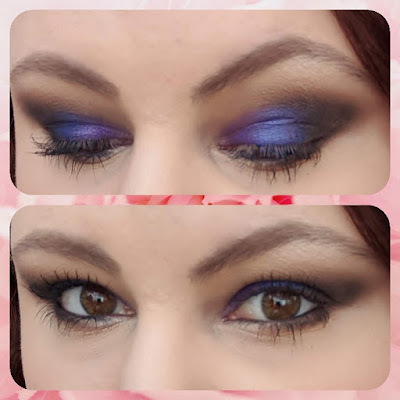 Starting out this look I primed my lids using my Wet n Wild Photofocus Eyeshadow Primer and left it tacky to help the eye shadows stick and be a little more pigmented. These shadows don’t need any help with pigmentation but it also helps with the longevity of the eyeshadow on your eyes. Picking up the shade Pukey on a big blending brush I buffed it all over the outer corner, about two thirds of the way in. Next up I used a smaller / medium blending brush and the shade Central Park and blended it tighter in the crease, focusing on the outer third of the lid. Taking a flat shader brush, I picked up Abyss and created the outer corner shape while also just packing on a bunch of the black eyeshadow. I then dragged the black under my bottom lash line and faded it into some of the shade Pukey. For the lid, I didn't bother cutting the crease, I picked up Royalty on my finger and swiped it across my lid two thirds of the way in. On the center on the lid, again on my finger, I picked up Twerk and patted it on. Mixing Royalty with Twerk was such a good decision. It created almost a duo chrome look and I'm obsessed! On the brow bone and inner corner, I patted on Beam with a smaller pencil brush! Thank you all so much for stopping by and checking out this tutorial. As you can see, this is a pretty simple look. It turned out so pretty, I just wish I had better photos of the look. I love a dark smoky look! It makes the green in my eyes pop more. If you enjoyed this tutorial, please feel free to share it and check out my social medias. Especially my Instagram, I post more looks over there! LulusLifeBeauty on Instagram, I recently hit 1k and I'm trying to hit 5k by May 5th, Which is my birthday! Please help me make this goal a reality!